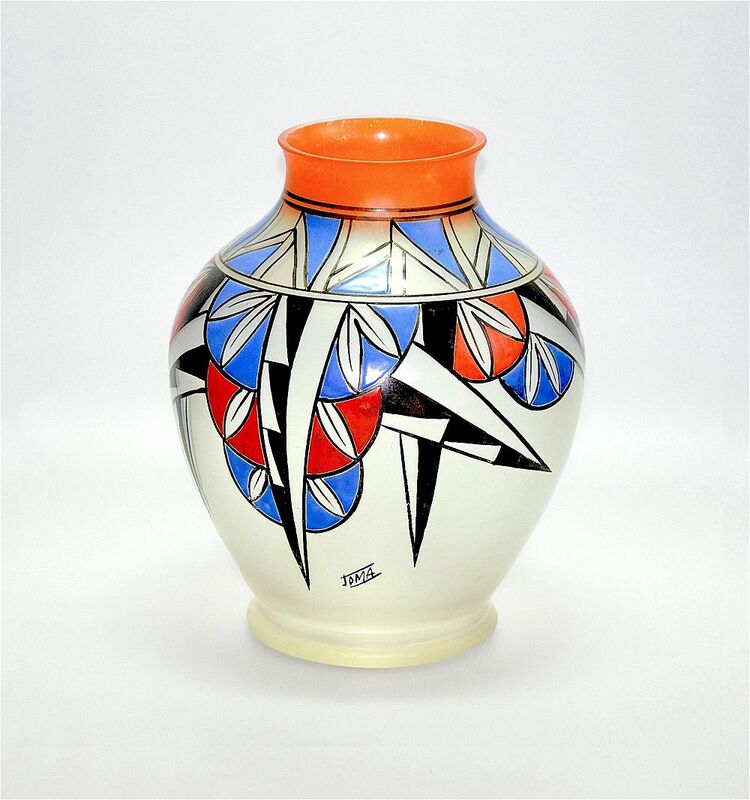 This lovely vase was made by the French glassworks Joma during the Art Deco period. The glass has been hand enamelled with a geometric pattern in red blue & black with orange around the neck. Signed "Joma".